Shaheen driving School, established in 1985. It’s Owner That we are founder Driving School In Islamabad history .we got Registered in 1993 with Govt of Pakistan under Punjab traffic law constitution role 1986, as well as verified from Modern Islamabad traffic police. We served more then 2 lac students last 33 year and our driving school is trusted by lineally. In all over the world our students are driving successfully. Our philosophy is very simple. Provide awareness about road signs and road safety cautions. There are dozens of Organizations, NGO, Companies, Driving Schools and Individuals who are working individually to ensure the human safety from road accidents. But Shaheen Driving Has put together all basics driving rules in our lessons to create safe Driving Society in Pakistan Business is all about relationships. Ultimately – our most important relationship is with our customers. We strive to meet and exceed the expectations of our clients in providing them with the most up-to-date knowledge and high-quality service. Our objective is to guide you all basic rules and commonsense safety precautions that everyone should know include: stopping for pedestrians, obeying traffic signs, staying within the speed limit, and wearing your seat belt. Our management and Instructors team have a very thorough knowledge of the Driving instructions, ensuring that any queries a client may have will be answered. Our values and principles ensure that our clients are left satisfied, and always refer their friends and family back to Shaheen Driving School. We pride our reputation and our loyal clientele. 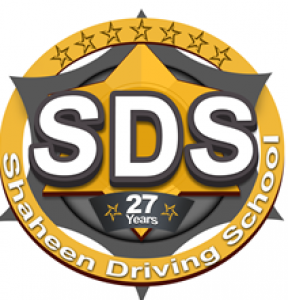 Shaheen Driving School is dedicated to providing the best driving instruction at the most affordable rates around. Payment plan that makes learning to drive more easily. For scheduling and pricing details, contact us today to talk to a helpful member of our team. Practice Road Test Package Price: 1200Pkr. •1 Lesson/45-Min.